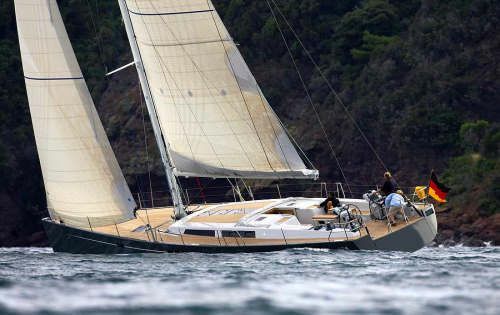 Luxury performance sailing yacht Hanse 630e sailing, measuring 19 meters (62.4ft) was built in 2008 and is available for private fully crewed charters in Greece, the Greek Isands and the Eastern Mediterranean. 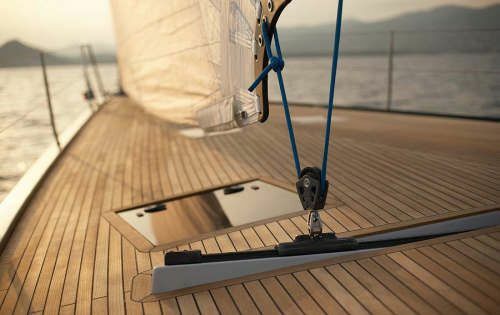 The speed of the new Hanse 630e will overwhelm you. The design is simply stunning. 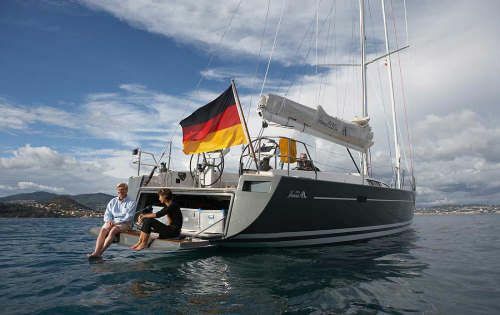 Set the self-tacking foresail and you have 200 square meters up against the wind. 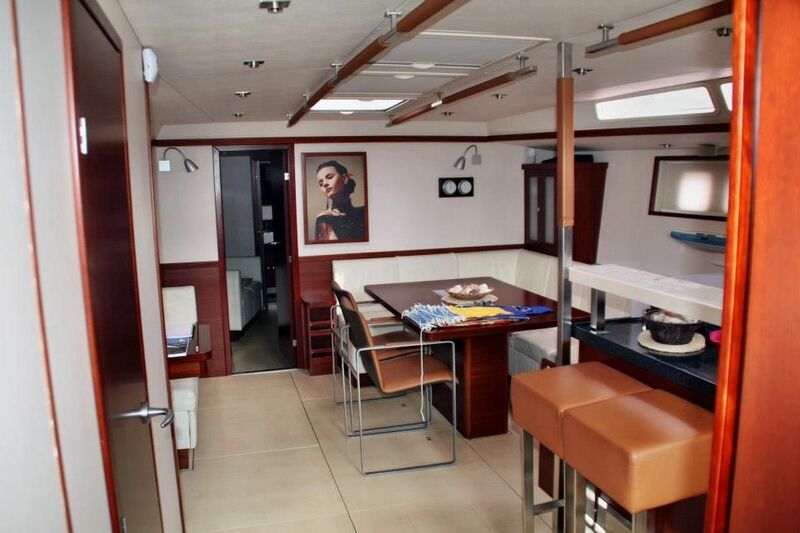 She has a modern chic interior with clean lines and an open airy feel; the salon is large and features neutral colours with light floors, 2 leather sofas, a formal dining space, a breakfast bar which is adjacent to the galley and a lovely mahogany finish to the panels. 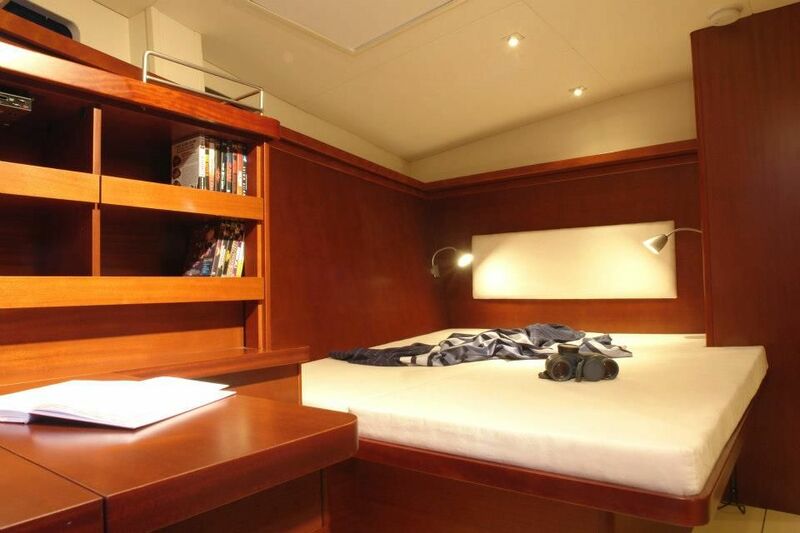 Flush overhead hatches and port lights allow plenty of natural light. 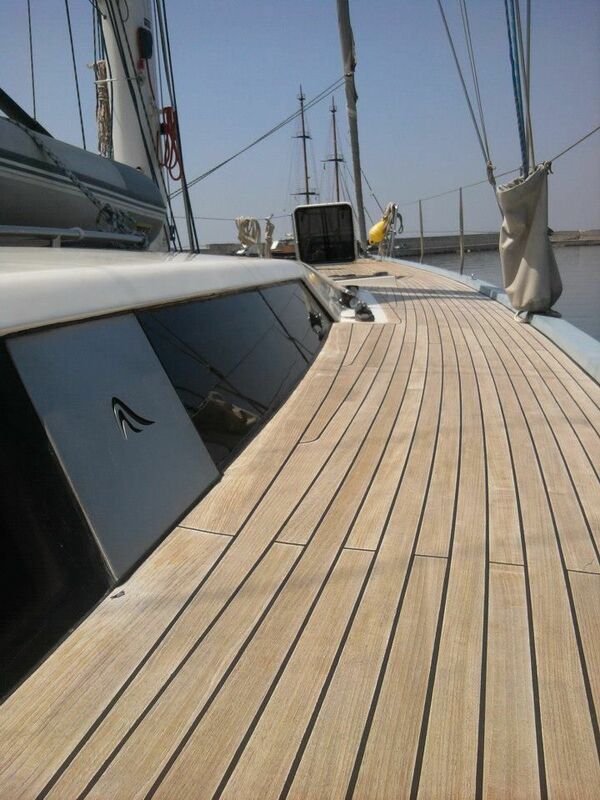 She has generous deck space thanks to the flush hatches which blend perfectly with the teak deck. 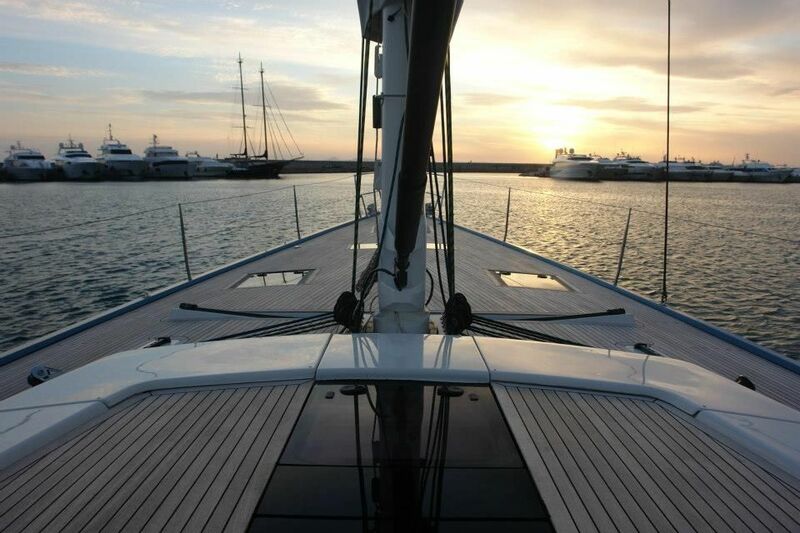 The aft deck offers an alfresco dining option in the fore of the cockpit, aft and behind the helm is additional deck space which leads to a lowering hydrolic transom creating the ideal place to access water sports or simply relax. 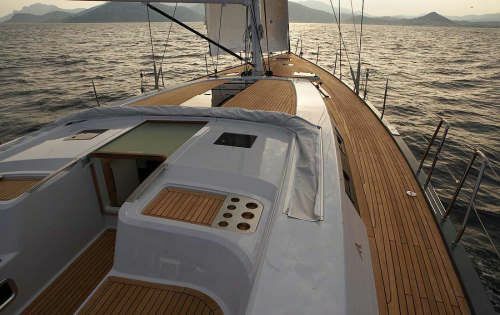 Forward the expansive deck area is perfect for the sun love. 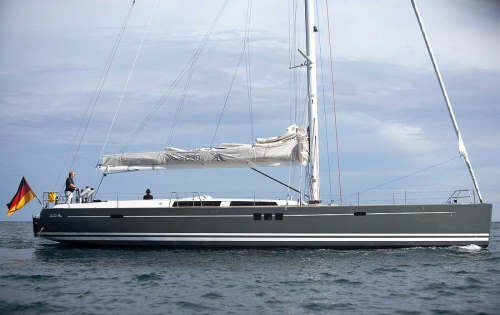 Crew: The yacht has excellent, very experienced Crew of 2 (captain & hostess/cook) ensuring her perfect maintenance and guests' satisfaction. 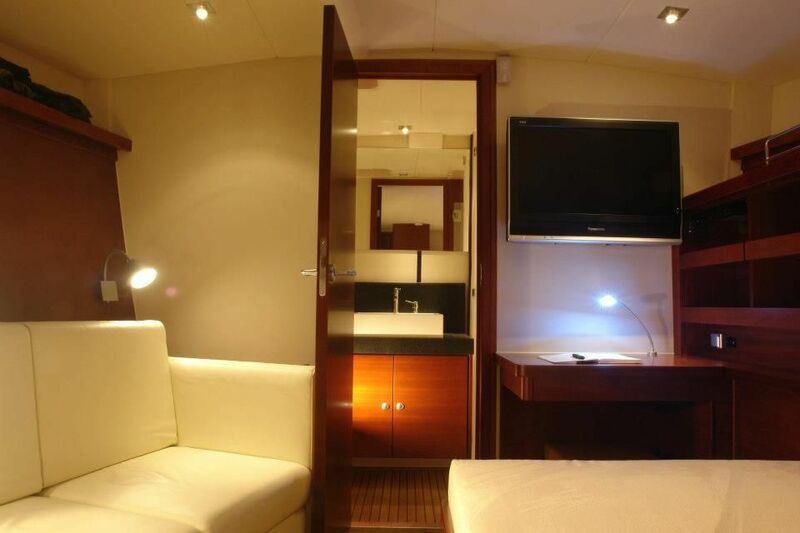 Accommodates 6 guests in 3 cabins all with en suite facilities.